Snap is taking another shot at Spectacles. 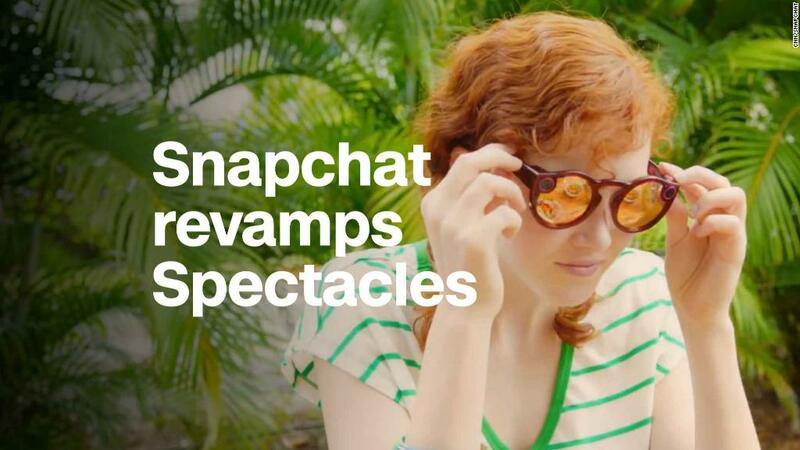 The Snapchat parent company announced Thursday a new version of its video-recording sunglasses. Spectacles 2.0. will cost $149.99 and have a similar look to the original pair, but are smaller and water resistant. Other new features include improved audio quality and the ability to take pictures (the original glasses could only record video). Photos and videos are also now captured in HD and transfer to the Snapchat app up to four times faster. There's a wireless video camera embedded inside the glasses. Users can tap a button to record video or press and hold to take a photo. Snap's first sunglasses launched in late 2016 and were initially only sold in vending machines. That won't be the case this time around: Spectacles 2.0 can be purchased on Snapchat's website. The new pair comes with different colors too: black, red and blue. The design tweaks -- such as the smaller size and slightly more subdued colors -- could make them more appealing to wear regularly. The original Spectacles retailed for $130. They were a viral hit at first and people waited hours to get their hands on a pair. Some resellers listed them on eBay for over $900. But excitement fizzled and demand turned out to be low. The company took a nearly $40 million writedown for excess inventory of its first Spectacles. Snap (SNAP) doesn't see the launch as a flop, though. A Snap spokesperson told CNN the company overestimated initial demand, which was a business mistake, but not a failure of the product. The spokesperson added that hardware is a long-term play for the company, and by bringing a product to market it was also able to learn in the real world, which was another goal. 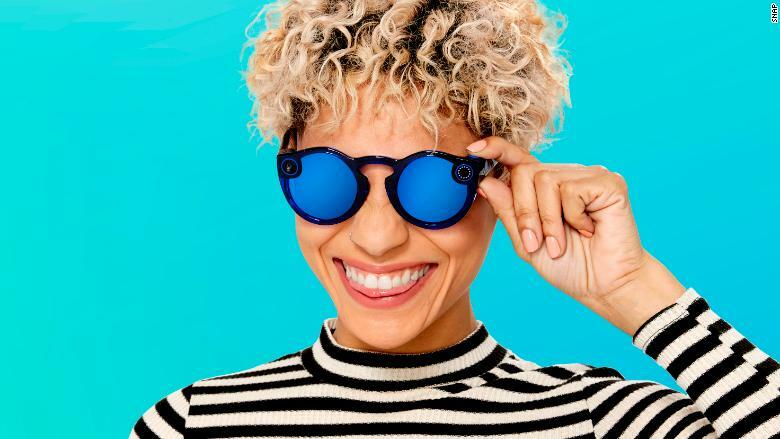 Snap also said the original Spectacles got people to wear a camera on their face for the first time. Snap has rebranded itself as a "camera company." But it's been a challenging run for the company since it went public last year. While Snap stock jumped after its most recent quarterly report, analysts are still concerned about slow user acquisition. It's also faced increased competition from Facebook's Instagram (FB), which has copied many of its most popular features. Earlier this year, Snapchat rolled out a redesigned app, which caused a massive user backlash. Yesterday, the stock fell after it appeared to backtrack on some of its changes to the app. On Thursday the stock rebounded to climb 4%.